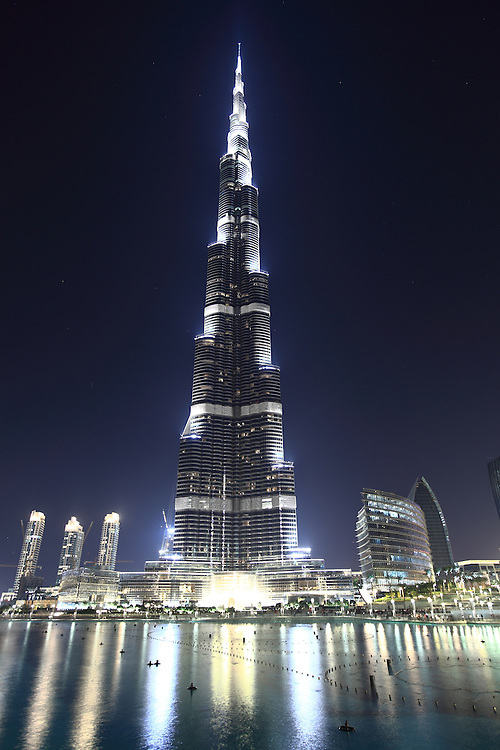 The Burj Khalifa - the world's tallest man made structure. This building is truly a testament to human ingenuity. I visited Dubai in December 2010 and was fortunate enough to find my way to the 125th floor observation deck. There are 75 stories ABOVE that. I took a photo of Dubai from that deck, which is another image in this gallery.